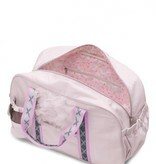 The Hanami duffle gives you a lot of things to savor! 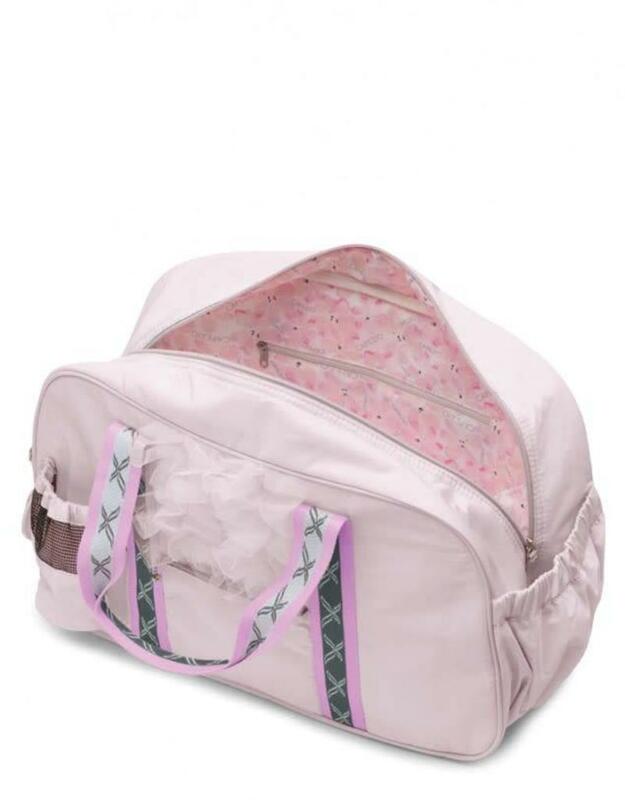 The oversized ruffles mimic flower petals and echo the floral Hanami print lining. 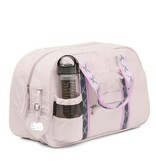 External water bottle pocket keeps your hydration where you can easily access it. The front pocket gives you quick access to keys and other small items and the elasticated side pocket is perfect for grab and go items. 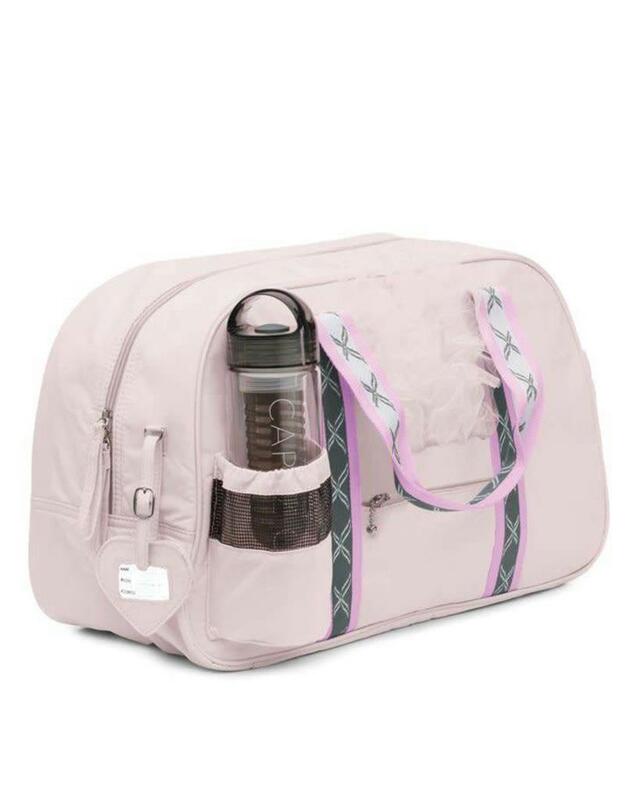 With a fun “BLOOM and Dance” heart shaped ID tag, this bag is great for both the studio as well as travel to competitions.